Oil at 6-Year Low Amid Global Glut. How Low Can It Go? Gary Shilling says crude is headed to between $10 and $20 a barrel, while Jeff Saut expects outstanding opportunities to buy oil-related securities, including MLPs. 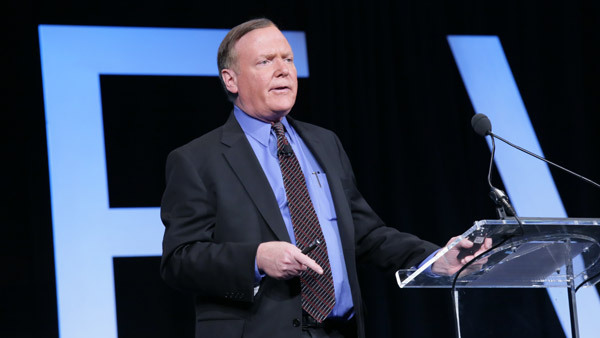 Jeff Saut of Raymond James says crude oil prices are in a "bottoming phase," but foresees "outstanding" buying opportunities in oil-related securities. A funny thing happened on the way to lower and lower oil prices this week. Despite the fact that U.S. oil prices are trading at a six-year low, gasoline prices have been soaring this week because of refinery and pipeline shutdowns from New Jersey to California. In the Great Lakes gasoline prices climbed to around $3 a gallon while some parts of California saw $5 a gallon or more but on average gasoline is selling for $2.65 a gallon in the U.S., up from $2.62 a week ago. Crude oil, meanwhile was just $43 a barrel Friday afternoon, after falling to a six-year low at $41.35. The refinery and pipeline shutdowns, however, aren’t expected to last more than a few weeks, or in the case of BP’s Whiting, Indiana refinery (whose unexpected closing was blamed for the Midwest gasoline price jump) not more than two months, so gasoline prices will reflect the price of its base crude oil soon enough. The key question, then, is where crude oil prices are heading from here. No one knows how low they will go but there seems to be growing sentiment that prices won’t climb much above $60 a barrel, if at all, because of a global oil glut. Economist and money manager Gary Shilling says crude oil prices are headed even lower, to between $10 and $20 a barrel, because of the glut in supplies. “When you’re in a price war like we’re in now because OPEC is basically saying we’re not going to cut production, we’re going to see who can stand lower prices longer,” Shilling told Bloomberg TV Friday morning. OPEC has been increasing production over the past year in an effort to thwart growing output from U.S. frackers. While some U.S. producers, extracting oil and gas from shale by fracturing the rock, have shuttered operations because of crude’s low prices, many still have not. Meanwhile, OPEC production surged to a three-year high in July, to 31.4 million barrels, according to a Platts survey, and that excludes Iranian oil which is expected to come online if sanctions are eased as a result of the tentative nuclear deal reached with Iran. Jeffrey Saut, chief investment strategist at Raymond James, doesn’t expect crude oil prices will move much lower from here. “I continue to think crude oil is in a bottoming phase,” said Saut in a Friday interview, explaining that prices have been trading up and down between roughly $42 and $65 since January. Perhaps that’s why Convergex’ Colas said in a Friday interview that he’s “seeing a lot of interest” in large-cap oil stocks from institutional investors. “Even if oil prices trend lower” those big investors “see real value in the oil sector,” said Colas, explaining that oil stocks are a large-cap value play for investors with a three- to five-year horizon. Oil stocks are the second weakest performing sector in the S&P 500 year-to-date, after utilities. On the small-cap side, the U.S. government reportedly will allow some U.S. oil companies to export crude oil to Mexico, exchanging U.S. oil for Mexican oil, according to The Wall Street Journal. That could help American shale drillers who have been struggling because of the global oil glut. Saut expects there will be “outstanding opportunities” to buy oil-related securities – including MLPs—during tax-loss selling season in the fall and early winter. — Check out ETF Gurus Look to MLPs Despite Oil Drop on ThinkAdvisor.